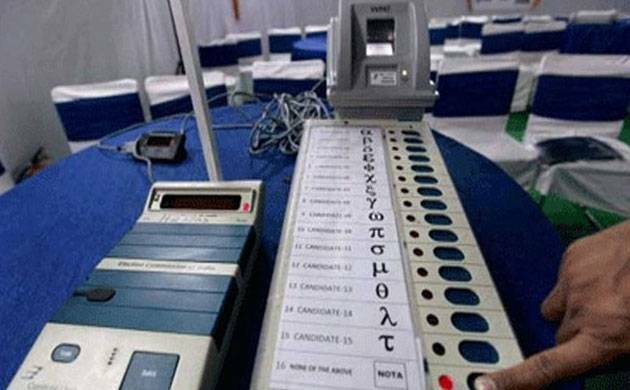 The Goa Suraksha Manch (GSM) has blamed tampering of Electronic Voting Machines (EVMs) during the recently held Goa Assembly polls. "The votes polled by our candidates are too less and unexpected. Such a low response to our candidates is not expected," GSM President Anand Shirodkar told on Monday. GSM polled only 1.2 per cent of the total votes during the February 4 state elections in which they had contested on six seats in alliance with the MGP and Shiv Sena. "We strongly suspect that there was a manipulation in the constituencies where we had contested," he said adding the party is contemplating to approach the Bombay High Court seeking an investigation into the matter. Shirodkar said that party officials have spoken to several technicians who have not ruled out the possibility of EVMs being manipulated. The party which was formed by RSS rebel leader and regional language crusader Subhash Velingkar, after the BJP-led government refused to withdraw grants to English medium schools, is surprised over the votes polled by its candidates in some constituencies like Panaji. In Panaji constituency, the party has a base of 1,500 workers and all had voted for GSM. But our candidate Chetan Bhatikar polled only 323 votes. This is impossible," Shirodkar said alleging the "EVMs were set to favour certain political parties."